Hey guys! 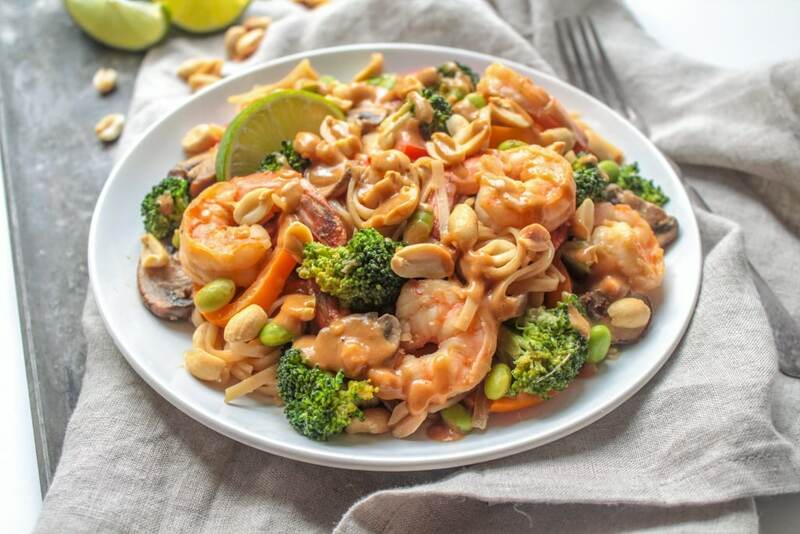 It’s been a little while since I posted a mix & match recipe, so I’m excited to share another one today, this time featuring Mix & Match Stir Fries! Mix & match recipes involve a few key components that you can switch around based on what you have on hand – in the case of stir fry, you can mix & match vegetables, proteins, and sauces to your heart’s content. 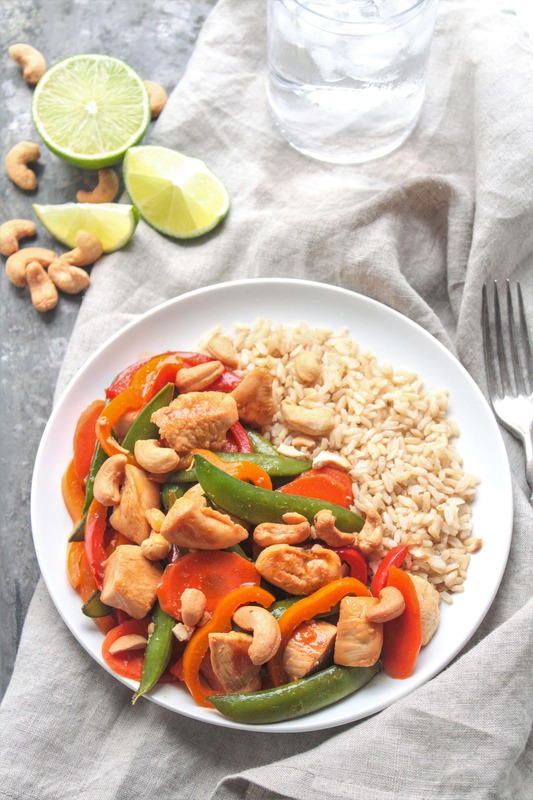 Stir fries are the perfect easy weeknight meal. They only require one pan, they’re easy to get on the table in a matter of minutes, and all the ingredients are super flexible! 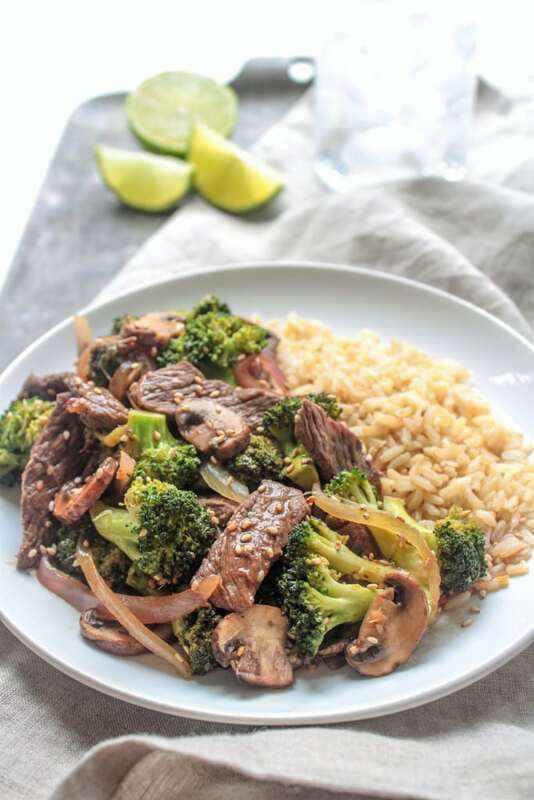 Plus, stir fries have the perfect formula for a balanced meal: vegetables and protein stir fried together with a flavorful sauce, served over a whole grain like brown rice or noodles. The combination is satisfying, yummy, and so incredibly easy – my kind of recipe! So how do you go about mixing and matching stir fries? Here’s my method! Step 1: Choose a protein. There’s no wrong place to start when it comes to stir fries, but I like to start with proteins. 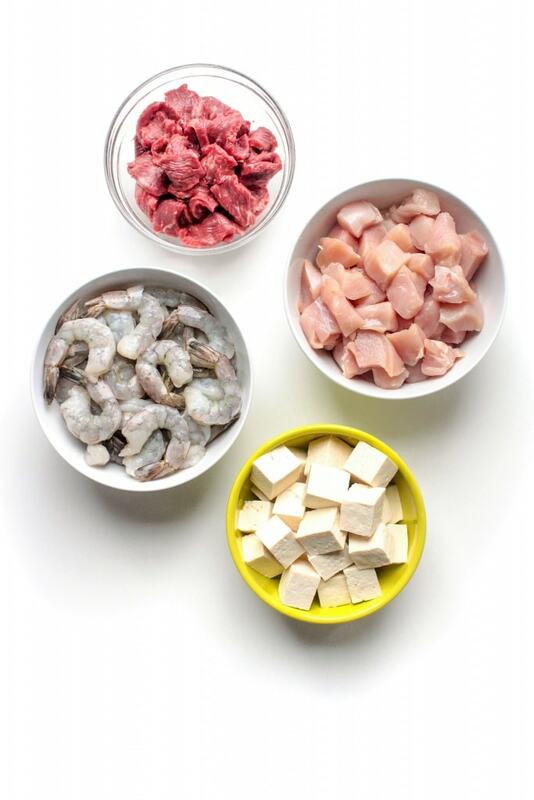 I usually choose between shrimp, diced chicken breast, sliced beef, and cubed tofu based on what I’m craving, what we have to use up in the freezer, or what’s on sale! A quick note on beef: you’ll want to opt for a lean, tender cut like top round (which cooks quickly), rather than one with lots of connective tissue and fat marbled in (which only gets tender when cooked slowly, like in a stew). 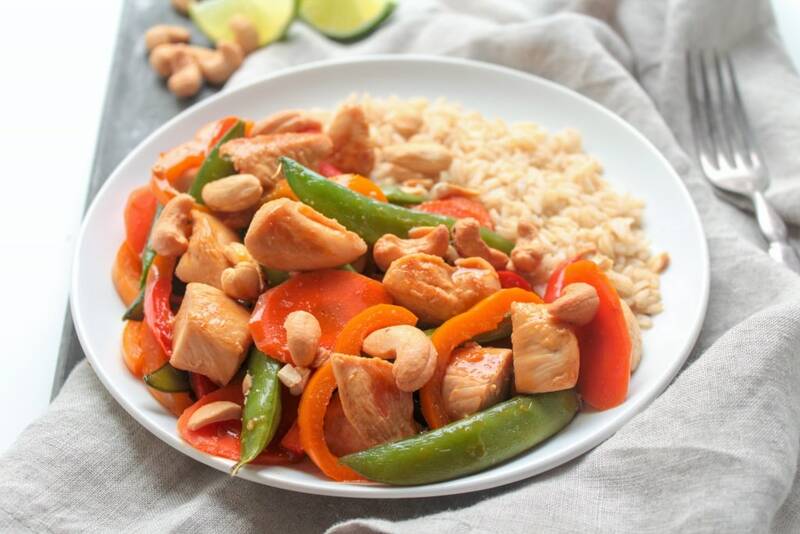 You can always chat with a butcher at the meat counter and ask which cut they’d recommend for slicing thin and stir frying! 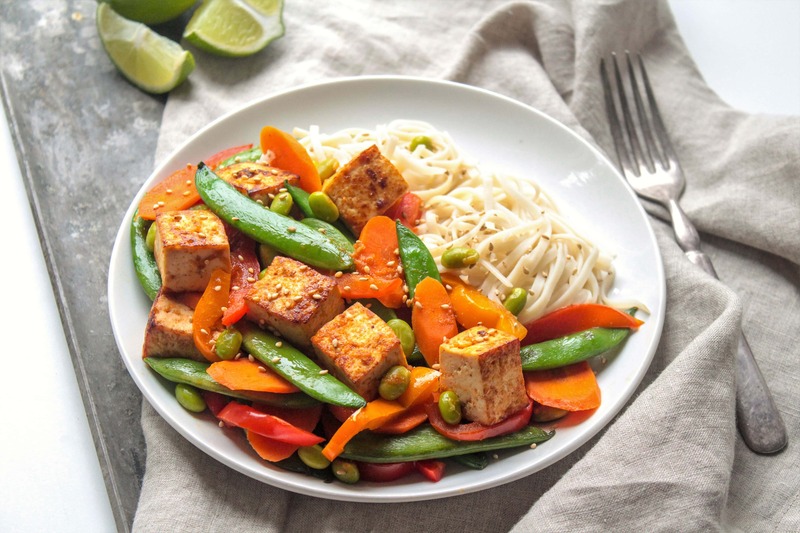 Stir fries are great for using up veggies from your fridge! Just about any veggie works, fresh or frozen, and there’s no limit to the number of veggies you can toss in. 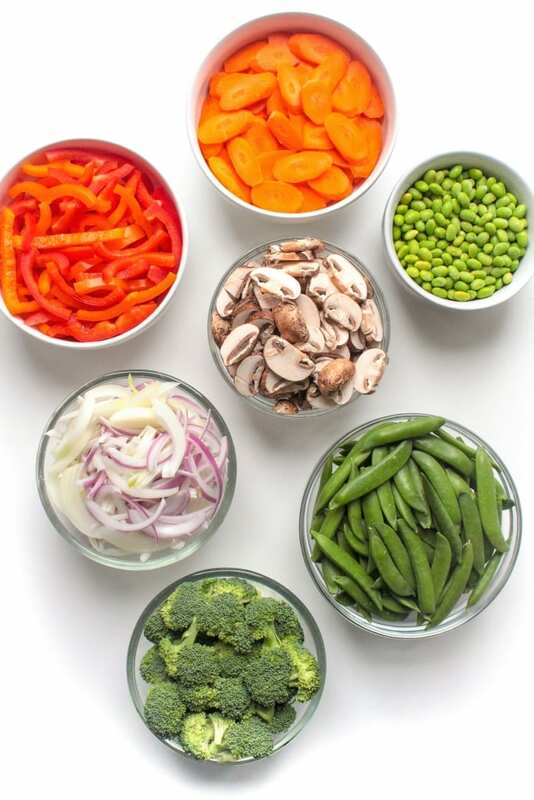 Some of my favorites include bell peppers, mushrooms, onions, snap peas, broccoli, and edamame (which are soybeans, so they could easily double as a protein source! I include them with veggies because they cook up similarly in a stir fry). Step 3: Choose a sauce. The sauce is probably my favorite part of a stir fry. It adds so much flavor and really lets you change the whole meal by mixing and matching just this one component! 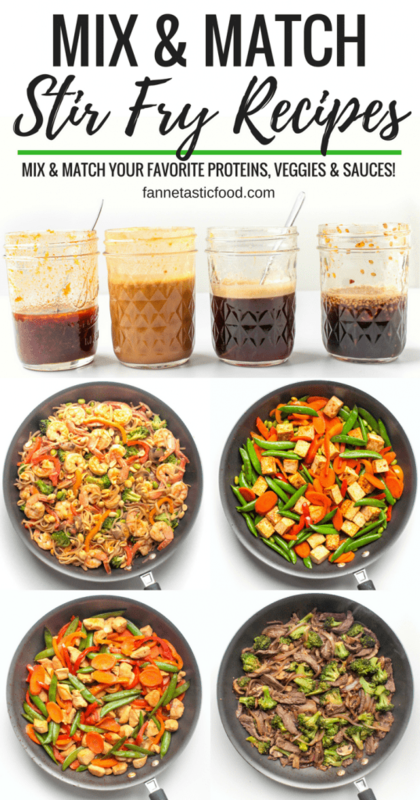 I have four basic stir fry sauces that I rotate between, and they’re all equally easy to make. 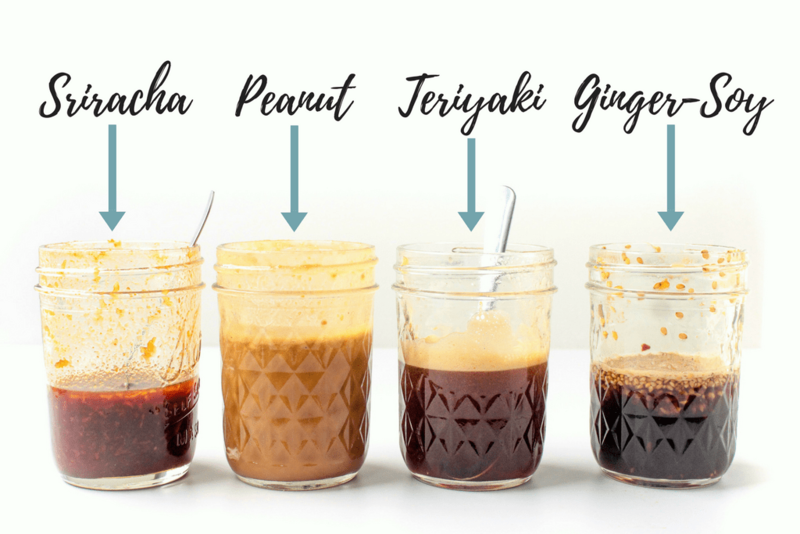 Just combine all the ingredients in a mason jar or bowl and shake or stir to combine! The method is the same for any combination of protein, veggies, and sauce! I like to do this first so that you can get nice caramelized edges on your protein and don’t have to worry about tossing raw chicken into cooked veggies later on. 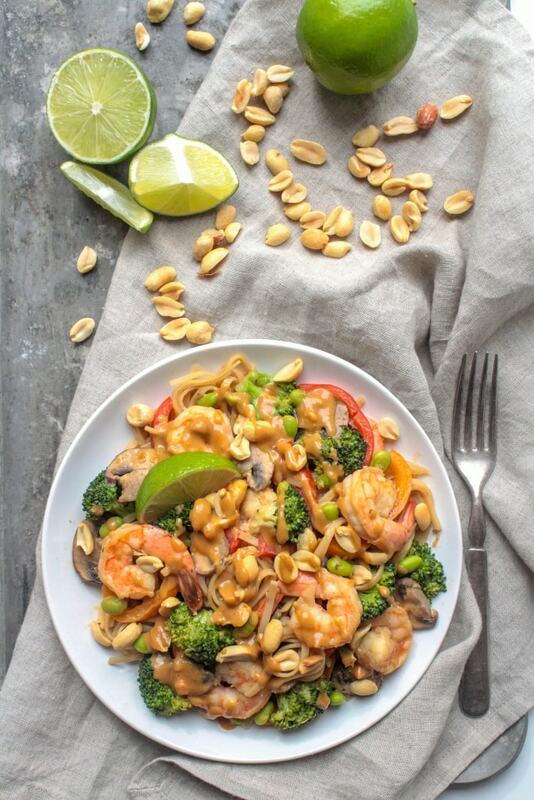 Heat a large pan or wok over high heat with a drizzle of sesame oil. Add protein (sliced or cubed if necessary) and cook while stirring occasionally – this usually takes 3-4 minutes for shrimp and thinly sliced steak, and 5-7 minutes for cubed chicken and tofu. Once the protein is cooked through, remove it from the pan and set it aside. 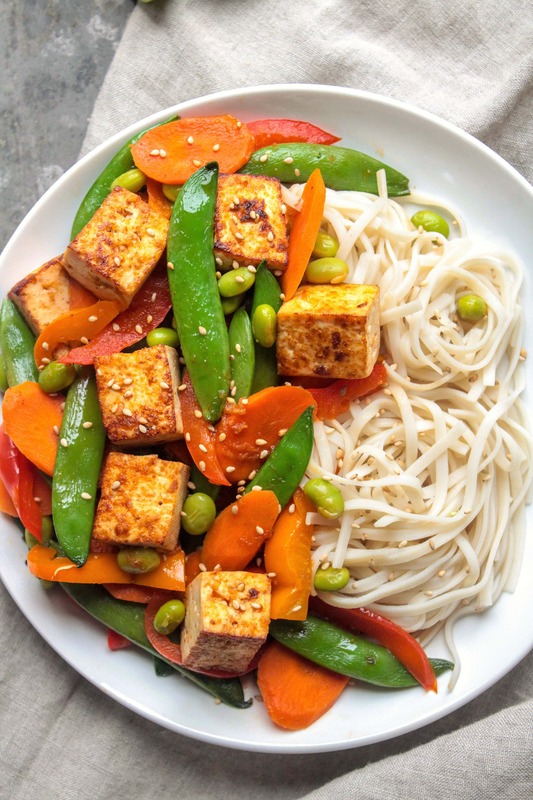 Add another quick drizzle of sesame oil to the pan if necessary, then add all the veggies. I like to par-cook heartier veggies like broccoli florets and sliced carrots by microwaving them with a splash of water for a minute or two, then toss them in with the rest of the veggies I’m using, or you can just cook these first in the pan for a little longer – up to you. Cook the veggies until tender (or just tender – depending how soft you like them) while stirring occasionally – this usually takes 5-7 minutes, depending on how crisp or tender you like your veggies. Finally, add the sauce and protein back into the pan. Cook for a minute or two, until the sauce thickens and glazes everything. If you want to mix brown rice or brown rice noodles into the mixture now, go for it. Otherwise, just serve the protein and veggies on top of a bed of whole grains, and you’ve got a complete meal! Do you love mix & match recipes, too? 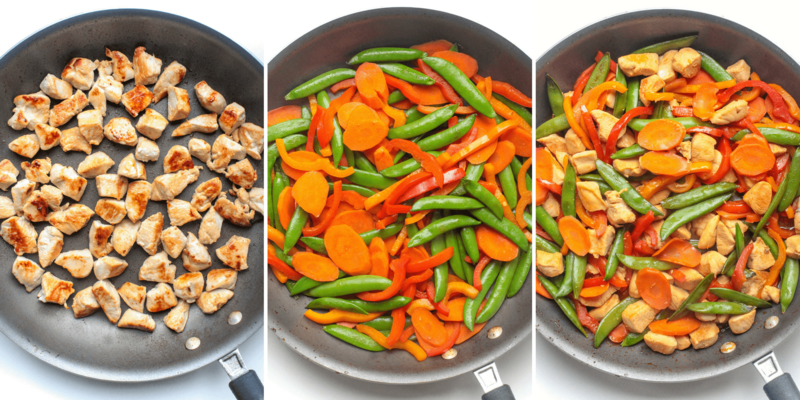 What’s your favorite stir fry combination? I’ve been on a kick with peanut sauce lately, but I’m always a fan of sauces packed with fresh ginger! Omg yessssss. This is amazing. I cannot wait to try these sauces and I love that they are all in one post. Thank you!!! I’m in a huge cooking rut and this is exactly what I needed to get me out! Thank you!! Yay! Let me know which combos are your fave! I just did this last week, but your sauces seem to be more simple (yet still flavorful) than the one I made. Will be referring to this often! Thank you! Thank you for these!!! 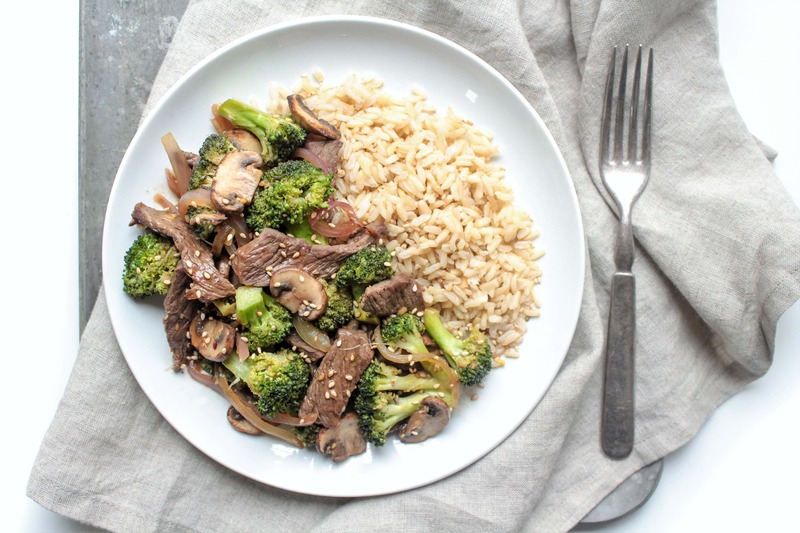 I’ve been in a stir fry rut – and these are the perfect inspiration. I’ll just sub in some coconut aminos for the soy sauce and I’m good to go!!! Now I can’t wait for dinner. Tamari is another soy sauce alternative that’s (usually – double check the label) gluten free, if that’s what you’re going for! :) Enjoy! What an amazing post. I love how simple the sauces are — makes it way less intimidating. Thanks, Anne! Anne, your mix and match series are some of my very favorite posts (well, of course, other than anything about dear Riese). Keep them coming! Aw, thanks Sarah! :) Let me know if there are any other mix and match posts you’d especially like to see… brainstorming ideas for what other sort of recipes/themes would work well as a mix and match and would love input! LOVE the simple yet delicious-sounding sauce recipes!! Thank you; can’t wait to start experimenting!